Nestled in the shadow of a long dormant volcano not far from the banks of one of California's largest lakes and surrounded by rolling vineyards and lazy hills is the cozy town of Kelseyville. It is also home to the Kelsey Creek Brewing Company. The nano brewery was tucked among the storefronts looking straight from the cover of a Saturday Evening Post. The interior was inviting - a mix of a classy dive and a honky tonk complete with spent peanut shells scattered about in piles on the floor. 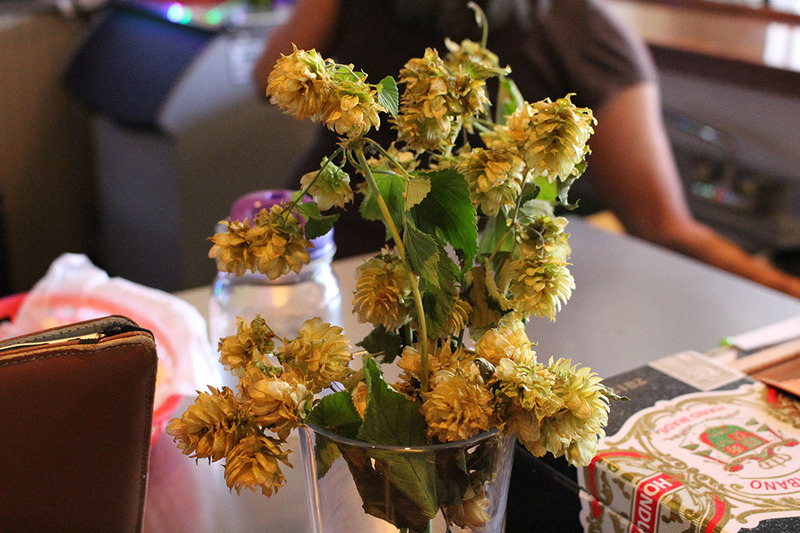 There were fresh hops in vases sitting along the bar. Blues bellowed from hidden speakers while the regulars laughed and talked. It seemed that everyone knew each other by name. With warm smiles, I was welcomed into the fold. 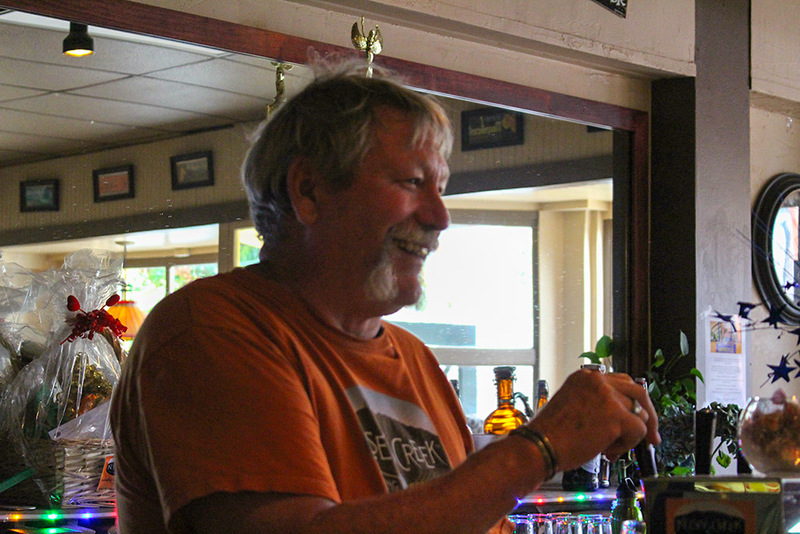 Head brewer and owner Ron Chips retired several years before Kelsey Creek was a bar from his Lake County utility job and faced a decision. He was only in his 60s. What was he going to do? “I thought about what I wanted to do when I retire, where I would spend all my time," Ron said. The logical choice? Open his own brewery. He completed an online brewing course through the American Brewers Guild, followed up with some tests at the University of California-Davis and served a five month apprenticeship at Lagunitas just north in Petaluma. For the last few years he has been working full time, brewing his own recipes at Kelsey Creek. Ron brews twice a week on his three barrel system which equates to nearly 200 barrels of brew a year. In addition to his regular rotation brews like stouts, reds and IPAs, Ron works on special one-offs like a bourbon barrel aged stout and a pear beer made specifically for the town’s biggest festival: the Kelseyville Pear Festival. All of the beers on tap were wonderful. The No’Na’me Irish red was smooth with a great flavor profile and the Kelsey Creek Pale Ale is an easy drinking, slightly bitter beer made with locally grown hops. There were stand outs like the Clan McPherson which was named after local sheriff Don McPherson who happened to also be a local National Guard hero. The Night of the New Moon stout, a heavy beer with deep flavors easily could win a spot on any wine country map. Like other breweries, Kelsey Creek sells growlers adorned with their logo, albeit a bit pricey. The larger two liter growler weighs in at a hefty $40 while the smaller single liter was $20, before the price of filling. Ron uses a state of the art counter pressure growler filler to top off the glass vessels by pumping CO2 into the growler and slowly filling it with beer. According to Ron, this method reduces waste as well as cuts fill time. 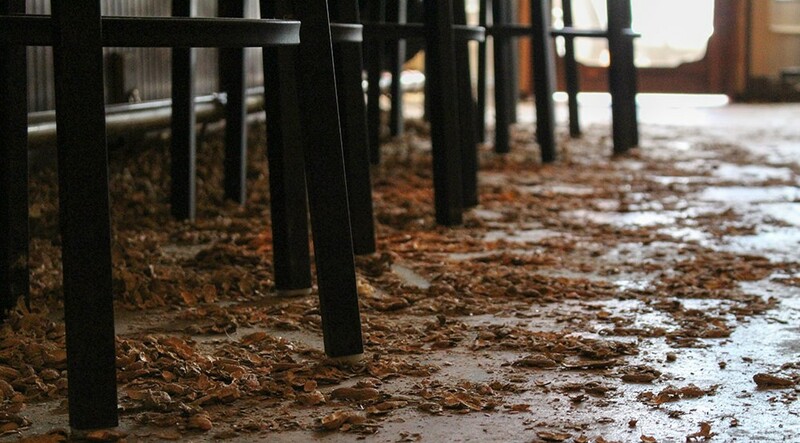 Kelsey Creek also hosts a cigar night twice a month, and they also have a “Brew Crew” program where you can “buy in” a stack of chips and trade them for discounted beers. Members get first pick of new beers and exclusive tastings. Ron’s bourbon barrel porter was nearly ready and would be exclusive to chip holders. As the afternoon wore on and the sun began to spread its orange fingers along Mt. Konocti, the regulars got louder and more talkative. Ron came out, fresh from cleaning the mash tun, to greet everyone by name. 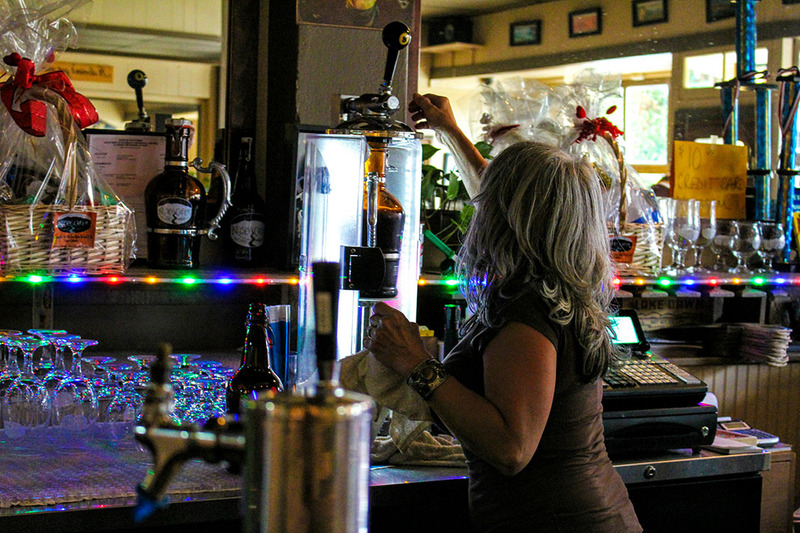 Marlena, the bubbly bartender whipped around from patron to patron shuttling trays of fresh popcorn and peanuts in between pouring beers and filling growlers. All with a glowing smile. All I wanted was a beer in the hills of Napa Valley, but by luck I ended up at Kelsey Creek Brewing Company. I couldn’t have stumbled into a better honky tonk. Ron and the gang have the beer flowing every day of the week. During the winter Kelsey Creek is closed on Mondays but offers a “Beer 101” on those evenings for folks interested in knowing more about the brewing process. Keep an eye on his regularly updated blog for news on what he puts on tap, events at the brewery and other beer related topics.